In brief: The fight for net neutrality has essentially been lost at the federal level, but states like California haven't given up the fight. FCC Chairman Ajit Pai is voicing his frustration with the state's recent passing of a pro-net-neutrality bill, claiming that California's efforts are "illegal" and the state's lawmakers are "nanny state" legislators. With the fight for net neutrality all but lost, individual states have taken it upon themselves to institute their own replacements for the now-eliminated Title II internet protections. One such state is California. If you've been following the news surrounding net neutrality over the past few months, you're probably already aware that California lawmakers have been working on their own set net of neutrality rules for some time. The state's attempts to push forward with these rules have proven successful so far. As noted by Ars Technica, California's net neutrality bill has made its way through the state's legislature, and now only requires the signature of Governor Jerry Brown to move forward. However, Ajit Pai -- the FCC Chairman behind the elimination of net neutrality -- is far from pleased with California's attempts to undermine his decision. Pai spoke at the Maine Heritage Policy Center on Friday about broadband rules at large, but a sizable portion of his speech directly addresses the state's pro-net-neutrality efforts. 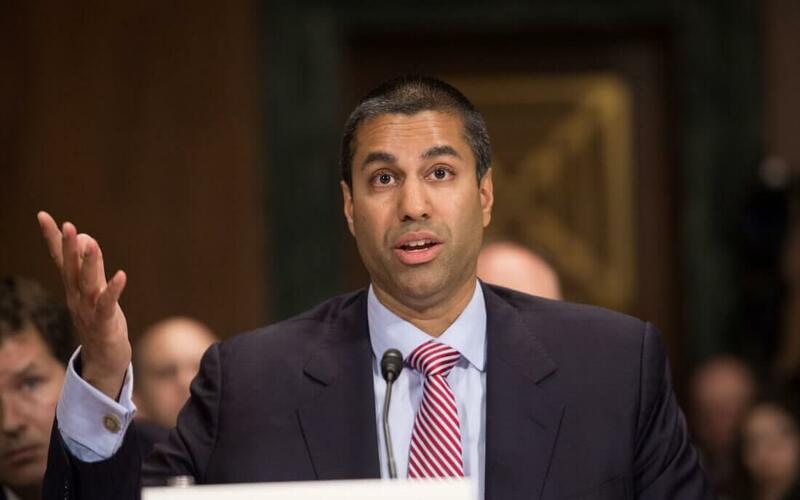 "Last month, the California state legislature passed a radical, anti-consumer Internet regulation bill that would impose restrictions even more burdensome than those adopted by the FCC in 2015," Pai said. "If this law is signed by the Governor, what would it do? [it would] prevent Californian consumers from buying many free-data plans. These plans allow consumers to stream video, music, and the like exempt from any data limits." He went on to refer to the lawmakers behind the bill in question as "nanny-state" legislators, adding that their efforts are "illegal" because "well-established law" states that federal rulings regarding information services -- which the FCC classified broadband as in December -- preempt state law. The internet should be run by engineers, entrepreneurs, and technologists, not lawyers, bureaucrats, and politicians. That's what we decided in 2017, and we're going to fight to make sure it stays that way. My final message to you today is simple: stay engaged, never give up, and stay true to your beliefs. You are champions for free market principles in a politically divided state. You’ll win some battles, and you’ll lose some. I’ve been there, and I’ve done that. It won’t be easy, but the principles of free markets and free minds are worth fighting for. They have made us the most prosperous nation in human history and a beacon of hope to the world. They have always propelled America forward and they’ll continue to light the way. So, when the inevitable setbacks come. Don’t give up. Fight even harder. As Andy Dufresne once said, "Get busy living, or get busy dying." It's tough to say what Pai means by "fight," but it could mean that an official legal challenge is on the way. Regardless, we'll keep you updated if anything major happens.